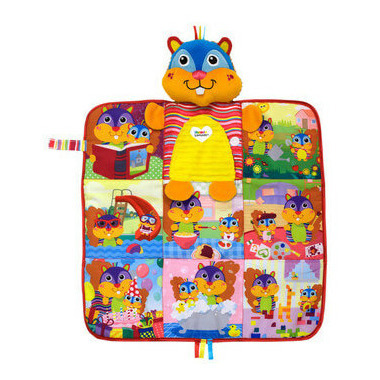 Pierre's Perfect Day is a colourful story book and 18 x 18 inch play mat in one. Bond with baby during story time with the bright colours and hidden surprises. 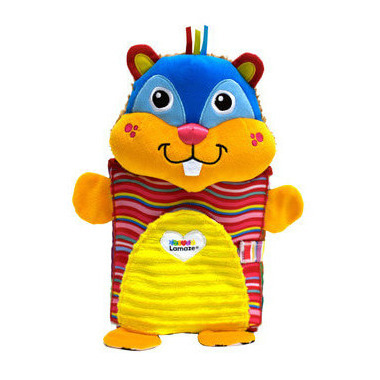 Baby can explore crinkle and chime sounds, various textures, a squeaker and multiple contrast patterns. Pierre features a unique folding design that makes it the perfect size to take them with you on the go. When unfolded, the soft play mat encourages baby to move forward and reach, push and crawl. Cute character, play mat and storybook in one!